Michael has taught me the meaning of life. He has given me purpose and joy, taken away my fear of death, and my fear of living life to the fullest. Still, even with the huge impact he has had on my life, when I think of the biggest lesson I have learned from him, there is no doubt what that is. It is the thought that first struck me when he died, the lesson I hope that is conveyed in my book Ever After, and the reason I look forward to each day. The purpose of my life is to share this message with others. The lesson is this: Always say yes to your heart, and be the best you can be at whatever you love to do, no matter what. Imagine a world where people say yes to their hearts without question, follow their dreams, doing their best and never giving up. This is the world that Michael believed in. This is the way he lived his life. He has shown me that this CAN be the real world. Since I have begun to trust him and follow this in my own life, everything is different, although it may seem the same on the outside. 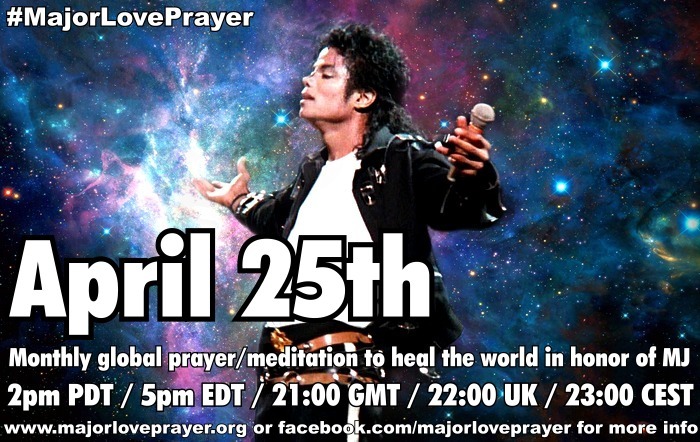 Is there anyone who has ever followed his heart as unfailingly as Michael did? Is there anyone who has ever persevered against all odds as Michael did? 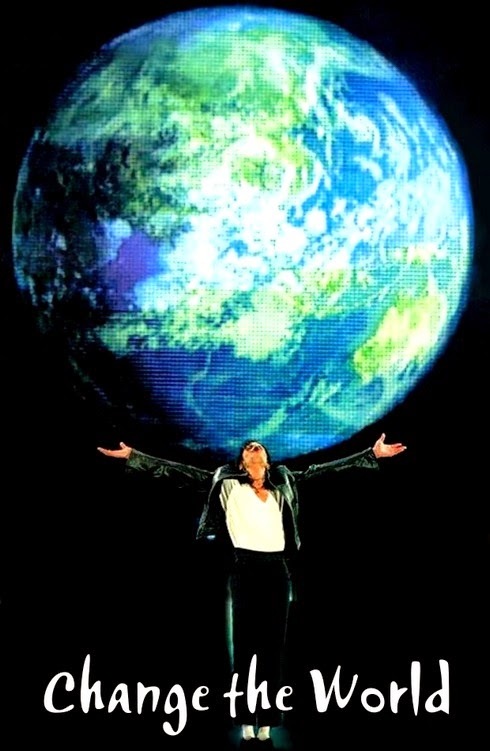 Is there anyone who believed that all things were possible as Michael did? He did these things because he believed his talents had been given to him by God and he felt his purpose was to express these gifts the best he could, so others might recognize their own gifts. This is true for all of us. 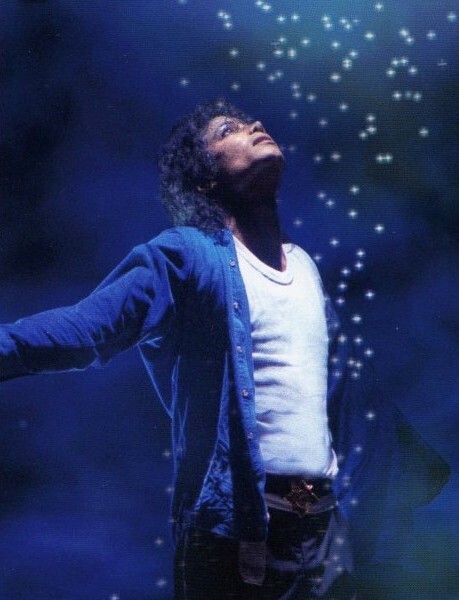 We all have a purpose for being here, we have talents, ideas, inspirations just as Michael did. The difference between us and Michael is that he followed through NO MATTER WHAT. He did not just choose to express his gifts when he was inspired, when he was paid enough money, or when he was feeling good, he did it for us, because that is what he knew he was here to do. He said, "I believe in me, so you'll believe in you." I believe in you Michael, and thanks to you, I also believe in me, and all of us. We are here to express our gifts and in doing so, we help others to be who they are meant to be as well. This is how we change the world. I promise that I will always say yes to my heart, and always do my best, no matter what. Brenda, Thank you for sharing your learned lessons from Michael with all of us. Letting your heart guide you and lead the way is very important in so many ways, i believe that too. I am also going to order your book soon, it's a must-have for my Michael collection. I am in tears... Your words are absolutely true. Miss him so much! Thank you, Brenda. We will make sure to keep paying it forward in his name, always. This is just simply amazing Brenda.I always miss Michael Jackson. How can I order your books? THIS IS so amazing! Thankyou for posting this and God bless you! !